Hungry for adventure, my colleague and I hatched a plan, changed the plan, modified the plan and then just did it. We planned to do a simple 6pm – 8am microadventure which was simple and fun. We are fortunate enough to work in the middle of Ditchling Common Country Park but rarely get much opportunity, or rarely create much opportunity to get out in it and enjoy it. Knowing that the Common was a Site of Special Scientific Interest we needed to plan carefully and be very subtle about what we were doing as I didn’t fancy having to justify what we were doing to a dog walker, policeman, forestry worker,or security guard from the nearby retirement village… yep, this needed some thought. I had heard the history of Jacobs Post when the Royal Oak was recently re-opened (before it more recently closed down!) and looked it up to learn more hoping it would provide a ‘fun’ backdrop to our evening out. On 26 May 1734, a horrified passer-by found landlord Richard Miles lying by The Royal Oak’s stable with his throat sliced. His wife was found in bed and her throat had been slashed, too. The third victim was an unnamed maid, who had rushed to her boss’s aid. The pub had been ransacked. Before he died Miles muttered the name of his attacker: Jacob Harris, a local peddler Harris had spent the previous night at The Royal Oak in Wivelsfield, Sussex, and heard Miles boast of rising profits. It sparked his plan for the murderous robbery. Laden with valuables stolen from The Oak, Harris fled, only stopping to rest once he’d reached The Cat Inn, some 15 miles away. But as he drank, a posse descended. Harris managed to slip up the chimney, but unluckily, the fire was lit and his choking alerted his pursuers. It was lit innocently, but Harris may have thought one of The Cat’s punters had betrayed him. Harris was hanged soon afterwards. His chained, rotting body was left dangling on a post outside The Oak – a grisly warning to others with murder in mind. 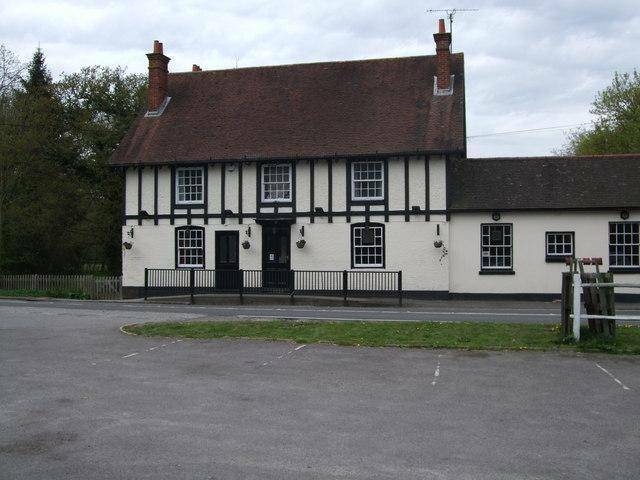 The Royal Oak – The murder scene. Jacob was mounted on a post out front to rot. My colleague Stuart who loves a bit of drama and a good story was surprising up for it and liked the idea so we both studied Google Maps to pick our spot. As we looked all we could see was open land, a few trees and bridle paths. Not great for providing the cover we were after. I didn’t fancy sharing my microadventure with passers-by with either two or four legs and to have to make small talk with dog walkers, wasn’t part of the plan. It was about being out in the quiet of nature and enjoying the outdoors. We changed our tack, Jacob would have to wait for another time. We scrolled our mouse over other parts of the 188 acres and found a good area worth exploring. Six o’clock came, we changed, grabbed our bags and set off to find home for the night. After a 25 minute walk we eventually found an area that wasn’t covered by bluebells and looked like a natural spot to make camp. Beyond the bluebells was a small clearing. With the simplest of tarp set ups our shelter was sorted so it was onto the cooking – nothing better than cooking and eating outdoors with a rustic and simple style. We decided to treat ourselves and so brought a couple of fat rib-eye steaks earlier in the day from town and also some stir fry veg. I wanted a third ingredient (always prefer ingredients in odd numbers!) and so brought some duck eggs. I cooked up the stir fry and put it in a small tray to keep hot in the ashes and then used the pan to fry up the marbled bad boys. I seasoned with salt and pepper and also a little curry powder to give it an edge. Once I was happy that the meat was nicely seared and suitably cooked I removed to the stir fry tray and cracked the large white eggs for a quick fry. The end result was mouth-watering and the taste rewarded you for the time and money you invested in the ingredients and cooking. Yes we could have had beans on toast, but treating yourself to nice food is always worth it when having an adventure. You don’t eat with your eyes at this time of night! It didn’t look pretty because on this occasion it was ALL about the taste. A mutual friend Nigel joined us and we talked into the evening and drank beers. 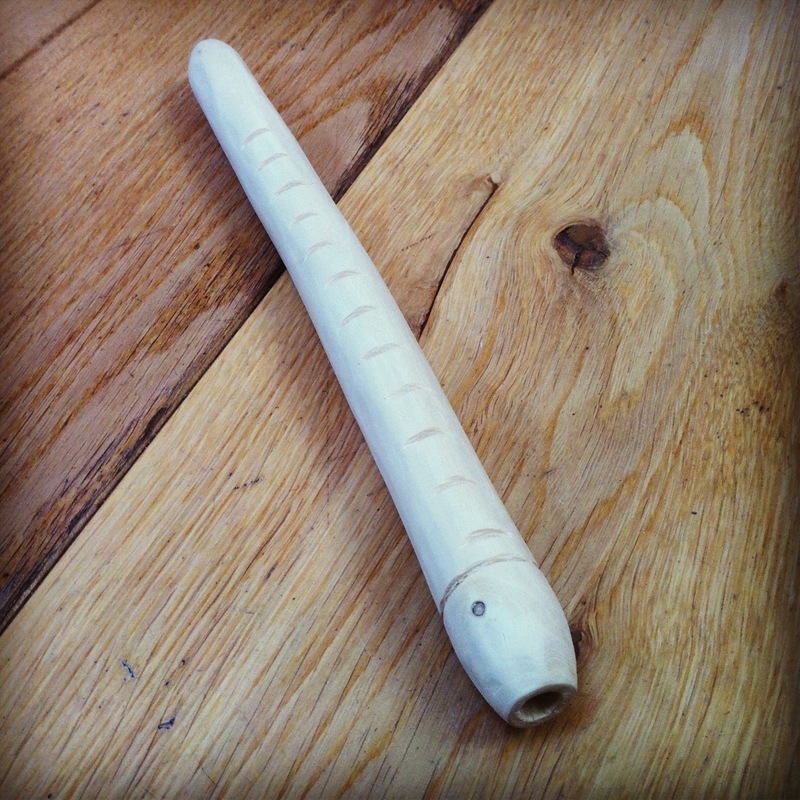 I started a little whittling project making a fire blow pipe which a Forest School Instructor from Sussex Wildlife Trust showed me. I felt inspired so as I had my bow saw and an Elder tree close by, I was soon busy and finished it off with some sandpaper only a couple of days later. 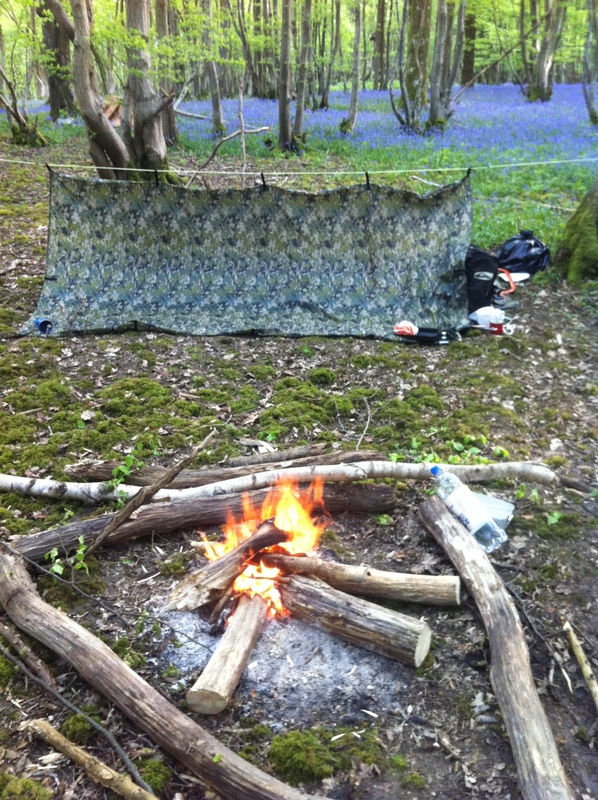 Nigel had a more rustic camp set up and seems to be able to rough it more than I would ever even consider. He had some tent canvass draped over a fallen, yet suspended log and slept underneath. I am not sure that he had anything under him other than bluebells… Nigel never ceases to surprise me! He was cheery enough when he woke, but I don’t know how… respect to him! We sent Stuart on his way, cleared up and ensured that the place was spotless as is was a great place to maybe return to. Leave no trace right? 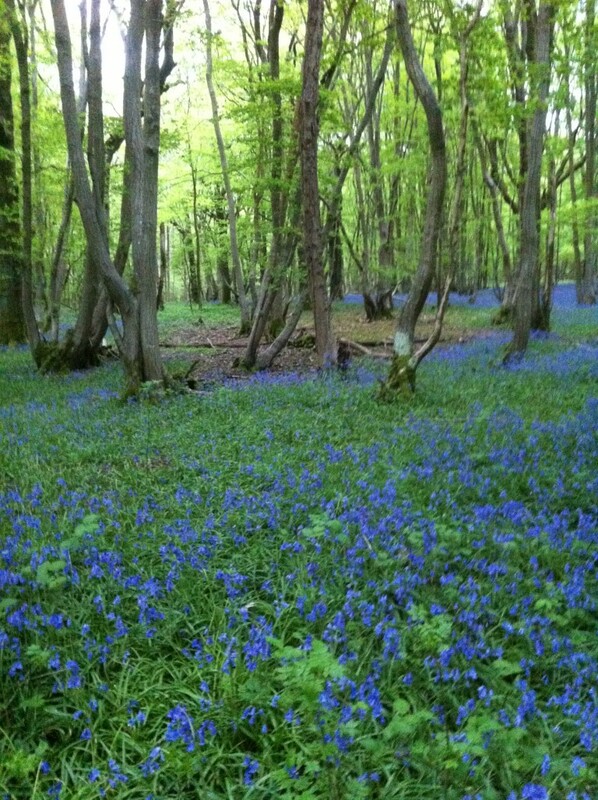 As we neared the edge of the wood we passed a man taking photos of the bluebells in the morning light. A nice way to spend your morning I guess. Lovely that the wood provides pleasure for so many people in so many ways. It felt a little weird going to work with rucksacks, saucepans and a bow saw in hand, but as the sound of bird song was replaced with traffic noise and time started to become important I reflected on the peace and respite I had enjoyed and was surprised at how refreshed I was. That said it just amplified the stark reality of normal life I was returning to… and on that cheery note…! It's a bit of this, and a little of that. Nothing fancy. You're welcome to it. 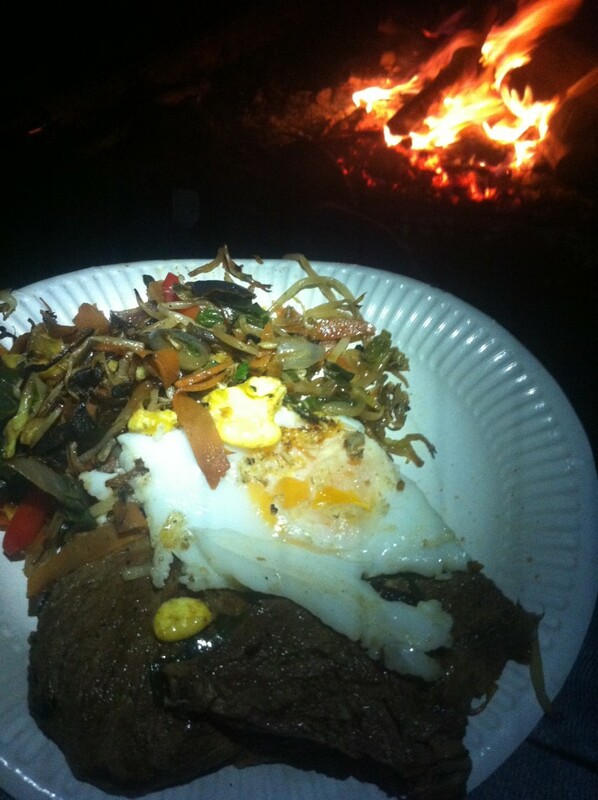 This entry was posted in Camping, Eating Out, Mini Adventure and tagged Ditchling, Microadventure. Bookmark the permalink. By the way, you forgot to regale the amusing challenge of finding you and your random spot in a 10 acre ish wood! And the red wine fail – a smashing time! I will try to include in a matching blog post. Cheers though – on to the next one! http://wp.me/p2kZmL-7o for my take on the same! Cheers!